You’ve accomplished what seemed impossible! The first draft of your manuscript is finished. Now what? Wait a couple of weeks before tackling editing. You’ll be more objective and better able to find mistakes. Otherwise, you brain will discern what you intended to write versus what you wrote. Read your manuscript from a reader’s point of view to check pacing, tone, writing voice, and story flow. It can be helpful to read aloud or convert your document to a PDF and utilize the ‘read aloud mode’ found at the ‘View’ tab. Does your first chapter confirm the book’s genre? Do your characters have a purpose? Are they memorable? Is their dialogue appropriate? Are names easy to pronounce and spelled correctly? Point of view is whose head you’re in during a scene. Draw readers into the emotion of your story by writing in deep POV. Eliminate excessive dialogue tags. Delete repetition of words and details. Use MS-Word’s ‘Find and Replace’ feature. If a sentence doesn’t advance the plot or add to character development – axe it. As a general rule, you should use active voice whenever possible to engage your readers. Active voice is bold, e.g., “Jordan stubbed her toe.” Versus “The toe was stubbed by Jordan. The Show -- Don’t Tell writing tip is a challenge for many seasoned and novice writers. SHOWING with vivid description makes a reader feel that they are experiencing a scene. Whereas, TELLING them what is occurring, is reporting or narrative, which tends to distance them from the action. To further complicate things, some writers do both. TELL and in the following sentence, SHOW. This can frustrate readers who don’t feel the need to be fed details twice. Have you used powerful sentences for chapter beginnings and endings to hook readers to read on? Is there conflict, tension, and plot originality? Have all plot questions been answered? Does your story have a satisfactory conclusion? Proofread on-line; then print off your manuscript to edit with a pen for: spelling, grammar and punctuation errors, excess wordiness, and awkward phrasing. A Style Guide is helpful for checking mechanical errors. Request constructive input from people who agree to be your beta readers. Consider their suggestions carefully, especially if more than one voices a similar concern. It’s difficult to identify your own writing mistakes even if you have editing skills. If your goal is to indie publish, hire an editorial consultant to polish your manuscript to publication quality. Targeted (#1) and Death’s Footprint (#2) in the Blair & Piermont crime thriller series are novellas Donna co-authored with award winning mystery author Gloria Ferris. 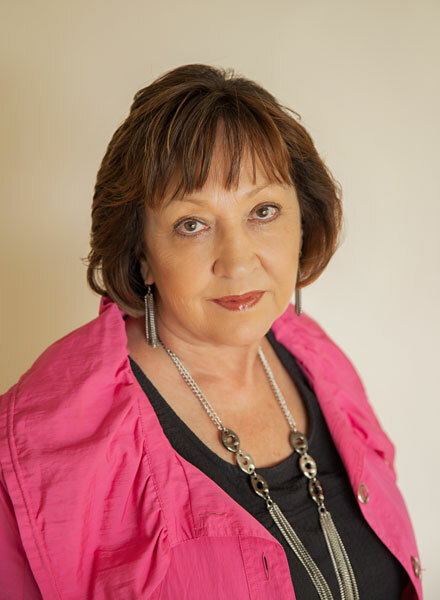 Donna’s former careers: a freelance editor; manager of the Canadian Network of Toxicology Centres; ESL tutor; and instructor of college-level education courses. She is a member of International Thriller Writers & Crime Writers of Canada. Are you a beta reader? Tell us about it! Great points for novice and experienced writers, Donna. I can personally attest that your skills and experience as an editor have been invaluable. Appreciate your support and kind accolades. Being a reader, not a writer, is maybe the toughest part of editing. I'm going to try the read aloud option on my pdf. I never would have thought of that Donna. Thanks!